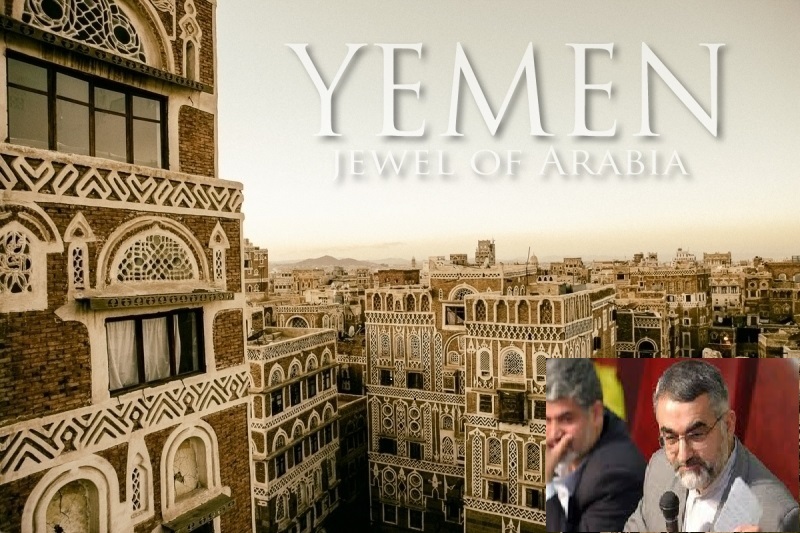 Hossein Amir-Abdollahain, deputy foreign minister for Arab and African affairs, spoke on Saturday about Saudi Arabia’s foray into Yemen, as the Gulf state is bombarding it and creating a blockade. He insisted that Yemen’s security is bound to Iran’s, warning: “We will not allow anybody [to] play with our common security through adventurous measures,” Press TV reported. Tension exists on several fronts. Iran-allied Houthi rebels and forces loyal to former Yemeni president, Ali Abdullah Saleh, are fighting elements that support President Abd-Rabbu Mansour Hadi. The president fled to Riyadh and sought help there in a bid to return to power. A Saudi-led campaign of bombardment has been devastating Yemen without a UN mandate since March 26, several days after Hadi was said to have fled the country. There are reports of Riyadh training a tribal force inside Yemen with the express purpose of defeating the Shiite rebels. Saudi forces have also blocked humanitarian aid to the volatile country, with some UN Security Council members – primarily Russia – scrambling to reach a solution for a temporary ceasefire. This is in order to deliver humanitarian aid, but other Council members appeared to stall the process. Russian UN envoy Vitaly Churkin believes it’s all talk and no action on the part of the West and Arab states. Iran, has also been at odds with the United States over a couple of maritime incidents in the Strait of Hormuz, which it chalked up to an initial commercial dispute. Analysts believie it to be a reaction to US support of its Gulf Arab allies – principle among them being Saudi Arabia. This has led to the US bolstering its defenses in the Gulf, with a destroyer at the ready. This entry was posted in Middle East and tagged iran, Saudi Aggression, Saudi Arabia, Yemen, Yemen War. Bookmark the permalink. NEXT EVEN A SINGLE BOMBER IS SHOWN ON THE YHEMENIES TERRITORY FROM THE YAHOODI- WAHABI-NEJEDIS , LEAVING ONLY MECCA MEDINAH , STRAIGHTEN THE ENTIRE ARABIA WITH THE MOST POWERFUL NAPALMS YOU HAVE, TO LET THEM HAVE A TASTE OF INTERVENTION IN OTHER PEOPLES AFFAIRS .THEIR PEOPLE HAVE DONE ENOUGH HARM TO THE PEACEFUL , FAST DEV ELOPING SYRIA WHOSE SUNNI , SHIA ,CHRISTIAN POPULATION WERE LIVING MOST AMICABLY WITHOUT A SINGLE INCIDENT OF COMMUNAL VIOLENCE OR REBELLIAN BUT THESE STUPID APOSTATE WAHABIES COULD NOT DIGEST PROGRESS AND INCITED REBELLIAN . Alles für Jemen Und IRAN !! !